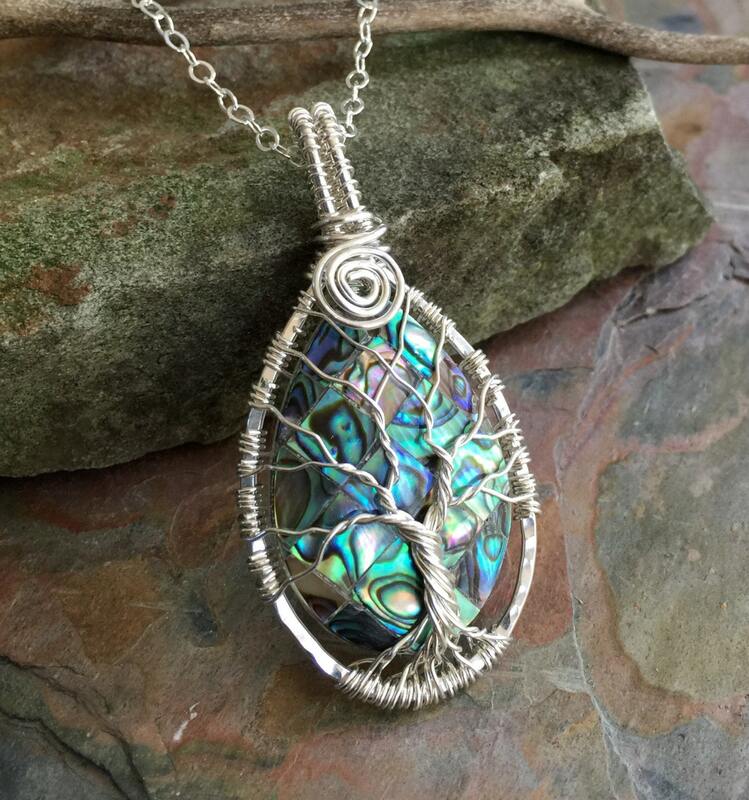 This gorgeous Rainbow Abalone is wire wrapped using 99.9% pure fine silver wires. 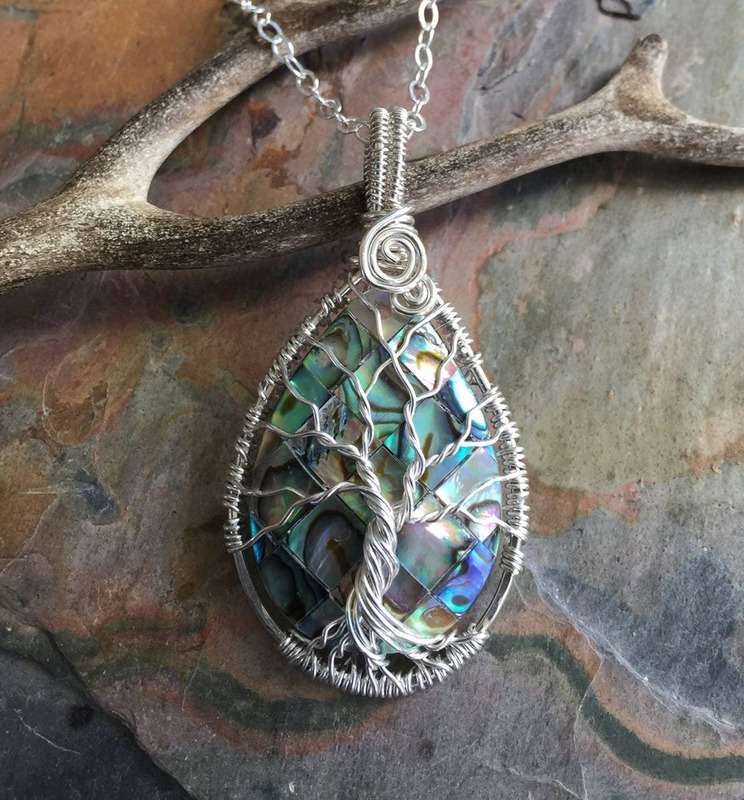 The pendant has been hammered & forged to give strength & texture to bring out the stunning details of the finished pendant. 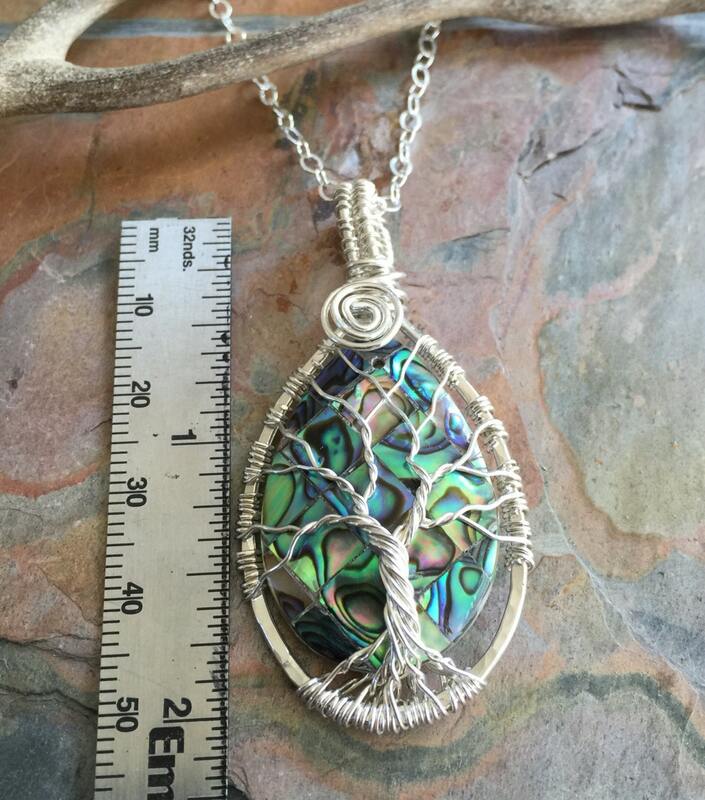 *The finished pendant measures 1.85 inch from top of the bail to the bottom of the pendant, 1.05 inch across. 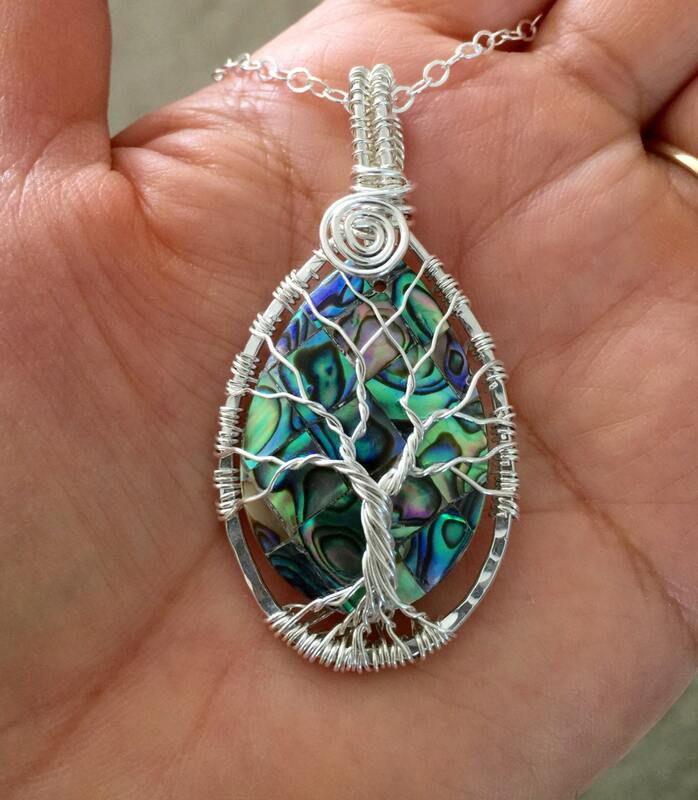 The pendant comes in a .925 sterling silver cable chain. 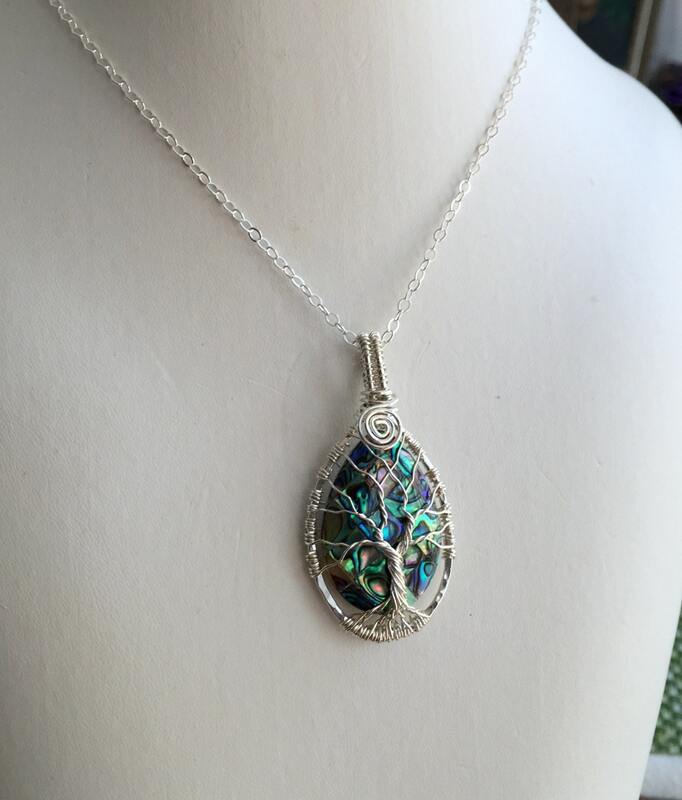 *Each pendant is handmade, so please allow slight variations from the shape of the branches and placement of the stones as shown. Love this necklace. Also bought one for my mother in law. I think she will feel the same way I do. My daughter saw it and said she would love one also so I guess I’ll reorder for her birthday. Da mucho de que desear su servicio. Deberían elegir otras opciones de envió. 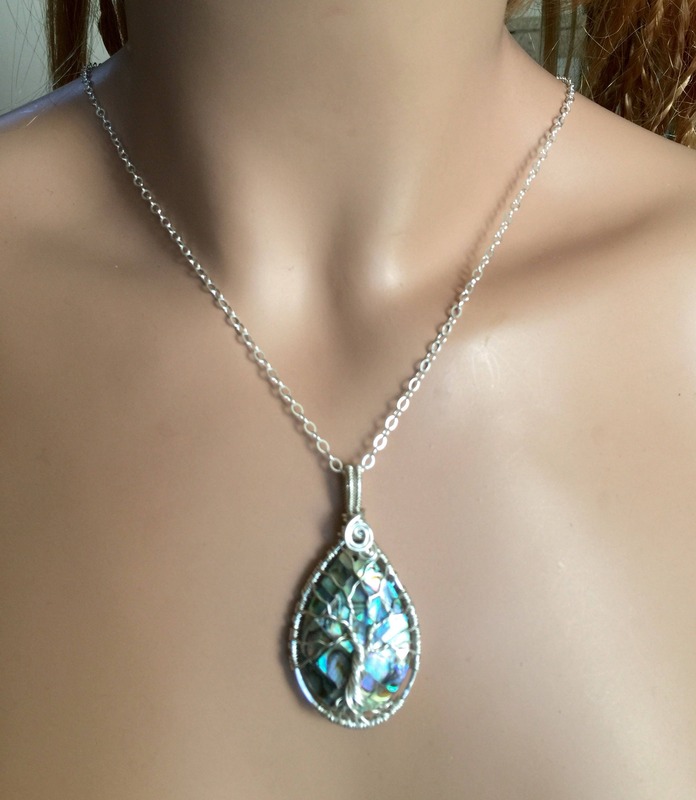 Beautiful pendant and quick shipping! !